returns a ColorPalette that has 3 color properties color1, color2, and color3. 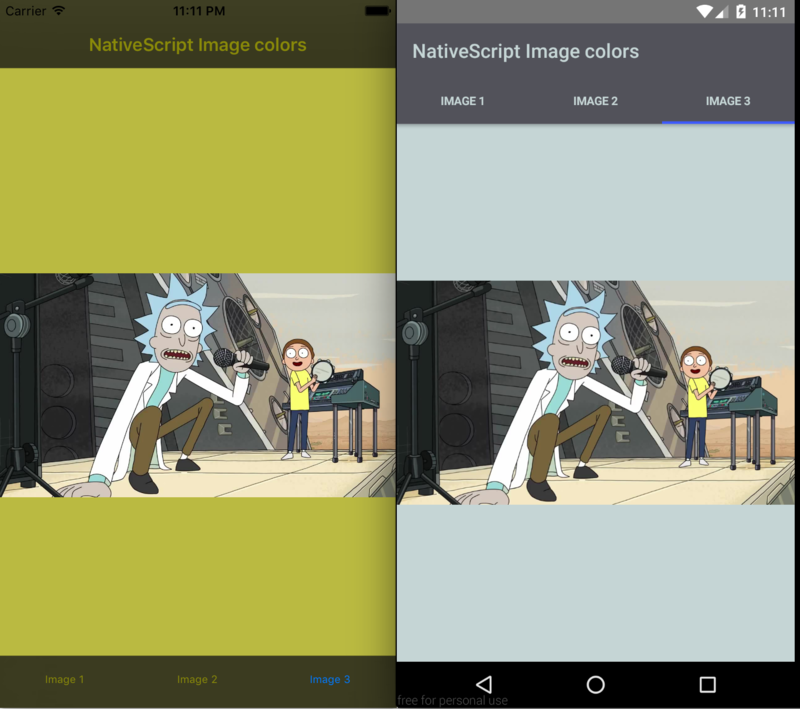 the Color Palette also contains a AndroidPalette and IosPalette object properties. The AndroidPalette has properties that correspond with https://developer.android.com/reference/android/support/v7/graphics/Palette.html. The IosPalette object corresponds with the SLColorArt object from the https://cocoapods.org/?q=ColorArt object. ColorPalette is a composite of these two so you don't have to do null and platform checks. please note the colors will not be consistent between platforms since the algorithms used are different.